At some point in time we all have things we want to accomplish. Some are harder to attain than others. Some are "one and done" goals and others are continuous, lifestyle-based goals. Regardless of which category our particular desire(s) fall into, one thing remains true and that is this: positive, progressive momentum is necessary to reach your goals. 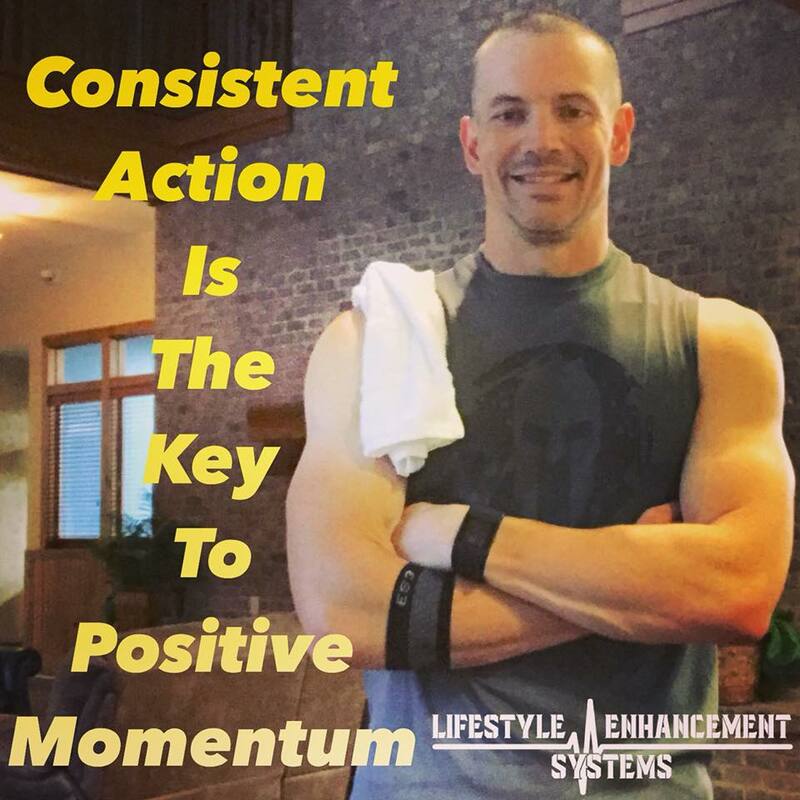 And consistent, aligned action is the key to positive momentum. Inconsistency and/or the wrong actions keeps us from getting in a rhythm. When we slow down, stop, or spend time on actions that don't align with our goal then we have to expend twice the emotional, mental, and physical energy to get moving again compared to what it takes to keep going once we’re in motion. This is true in our prayer life, in our relationships, in our finances, in our health, in our work; all things. Daily action is necessary, even if it’s just enough to keep us engaged and building the relationship, adding more knowledge, completing one more task. When we go long enough without putting some time and effort into what we want to achieve then we feel somewhat intimidated about trying to re-engage in the process. Take reading a book for example. Maybe we want to learn more about a certain subject so we can progress toward a certain goal in that area. One of our steps might be to read something on the subject. Daily reading helps us 1) keep the information fresh in the mind and 2) progressively bring ourselves closer to being able to implement what we are learning. However, if we got 2-3 days or maybe even a week (or more!) without reading it's much harder to pick that book back up and read than if we just spend time reading every day. Time may be short, but even reading 2-3 pages or for 5-10 minutes keep us engaged in the content and the process and provides that mental win of continuing forward progress. Or, what about our health? We don't get "unhealthy" overnight and we can't reclaim or maintain our health without working on it daily. Eating well or exercising once a week won't have a lasting impact and will only end up making us feel regretful and discouraged in our pursuit. However, if we just spend 5, 10, or even 15 minutes each day doing something that keeps us moving in the direction of a healthier life then we find it much easier to keep going. That small, consistent action will build over time. We may not feel the momentum, but emotionally and psychologically we are getting daily wins that make us feel like we can do it; like we can reach our goals. Some days will require more time than others to invest, but between those times it's the daily, consistent action that keeps us moving and ready for exponential progress when the timing is right. So, how do we set ourselves up for being consistent each day? 1) Write out your goals. Spend just a few minutes to write down what the most important things are you want to accomplish. Visually seeing these written out will make them a little more real plus it gets it our of your head where you can now use the mental energy for determining how you will work toward your goals. 2) Keep an active and constantly updated to-do/priority list. Write down what daily actions you need to take. For anything that needs to become an everyday activity keep writing it down until it becomes an automatic habit. For specific, one-time steps toward a particular goal keep them prioritized on the list until they are done. 3) Create accountability. This could be with an individual who will check with you on a regular basis or through something like posting to social media what you are committing to - and then regularly sharing updates on your progress or action taken. 4) Do it. Don't overthink whatever it is you need to do. Figure out how to work it into your day. That phone call you need to make. Just dial the number. Do it while driving to take advantage of the drive-time. Just be sure to use a hands-free device! That book you need to read. Before you close your eyes, reach over to your nightstand, pick it up, crack it open, and read! Even if it's just 5 pages. Your workout. Don't hesitate. If it's early in the morning get yourself out of bed asap and splash some cold water on your face. Get your gear and get going! If it's later in the day, pack your bag the night before so all your gear is prepped and ready to grab as you head out the door. Get in the gym and get started. 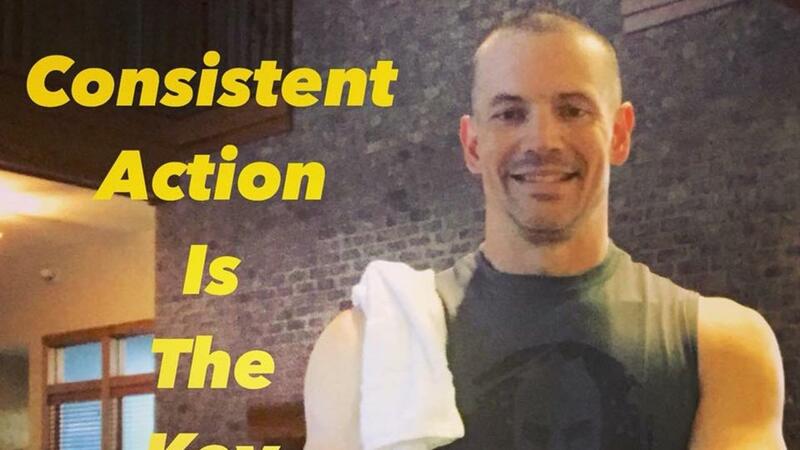 Being consistent in taking the right action is how you'll get to where you want to go. Take time to map it out so you know what you need to be doing and when. Be willing to ask for help. We ALL need help. Success doesn't happen without the support and influence of others in our lives. Need help with getting your lifestyle under control? Check out Fit For Service and the community we're building!